In early Christian times, the practice of hospitality was highly prized among believers. Hospitality is the expression of love that looks upon all believers as members of one family and provides for those believers who travel from place to place in order to fulfill their calling in the Faith. “And do not neglect doing good and sharing, for which such sacrifices God is pleased” (Hebrews 13:16). Hospitality was a potent means to further the Gospel and was practiced with overflowing goodness and generosity. 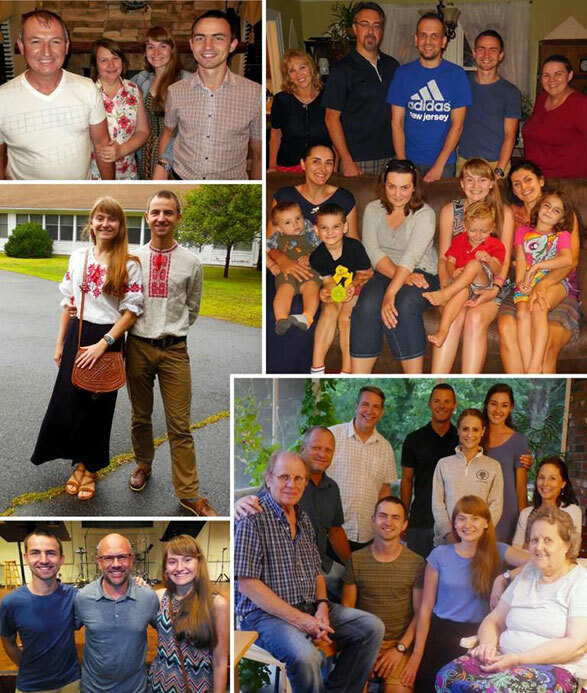 Interestingly, the young missionaries are members of the Resurrection Church in Borovliany, Belarus. This church has been established and constructed through the ministry of Slavic Missionary Service, and SMS is currently supporting its two pastors. (Both pastors are involved in various outreaches and ministries.) What a joy to see that a missionary church is already obeying the Great Commission and sending out other missionaries! “For they went out for the sake of the Name… therefore we ought to support such men, that we may be fellow-workers with the truth” (3 John 7-8). Gratitude is extended to all those families, friends and churches that made the first visit of this missionary couple to America extremely satisfying and spiritually successful! “Be devoted to one another in brotherly love… contributing to the needs of the saints, practicing hospitality” (Romans 12:10-13). Pray that God will continue to help SMS to assist their national workers and others to “go into all the world and preach the Gospel to all creation” (Mark 16:15).